It’s nothing new combining CAD with RC model airplanes, and in fact, it’s been around for decades. However, the ability to use CAD files to produce RC airplane parts at home is relatively new. 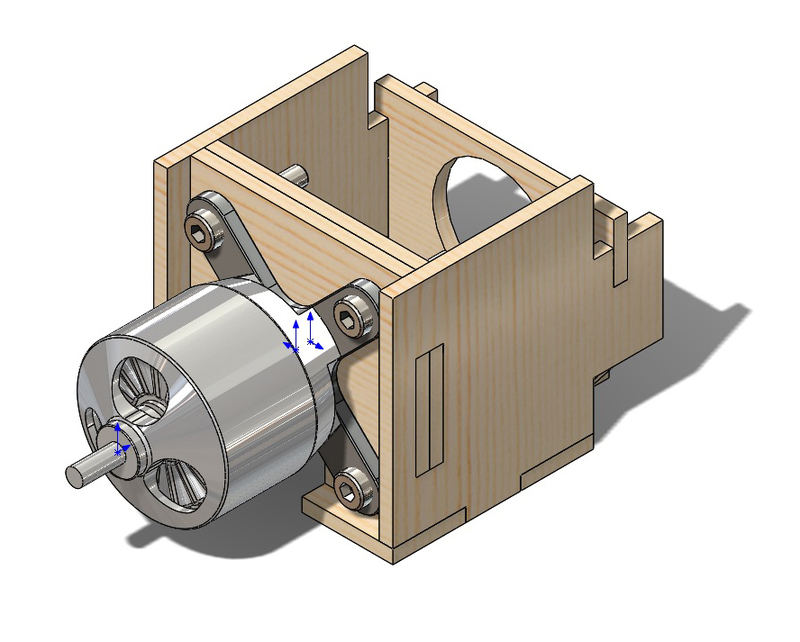 With the Stepcraft desktop CNC system, I was able to make a new motor mount box for a friend who was upgrading his Hobby Express Telemaster 6-foot Electro ARF V2. 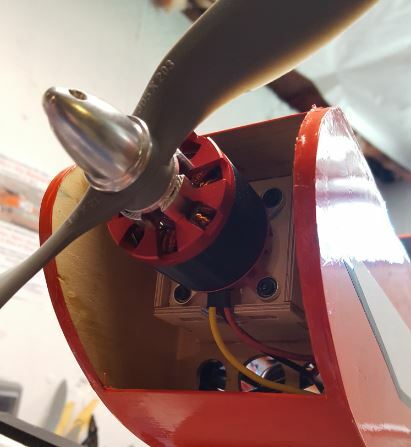 Installing a more powerful motor meant he needed a stronger motor mount box so he designed a new one so it would fit into the existing firewall and former structure. We started with a great, highly details 3D CAD rendering my friend produced, (he actually works for Solidworks), so this part was a piece of cake. 3D renderings make sure that all the parts fit together as intended and that they are the precise size and dimensions needed. 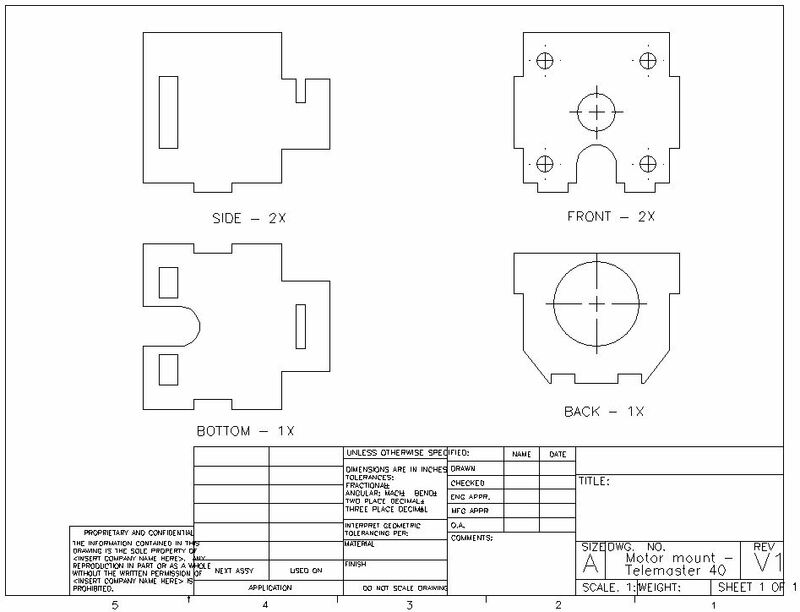 From there we converted the 3D file into a 2D CAD file which we could work with. The 2D file was then imported into VCarve Pro so we could create our job file and required G-code for the CNC to understand. In VCarve Pro we assigned the proper speeds and feeds for the material we wanted, (1/8 inch birch plywood), and select the proper tool bit. 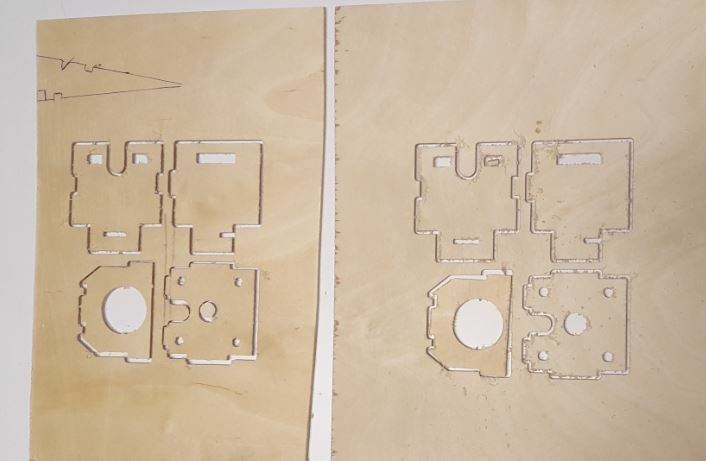 We used a 2mm 2-flute end mill cutter and entered a .130 material thickness, (.005 more than the 1/8-inch plywood thickness), this allowed for a clean cut through the entire depth of the material. We selected a 0.043-inch cut depth for each pass, which gave us a total of three passes. We then selected a feed of 25mm/sec. which is half of the CNC maximum speed. 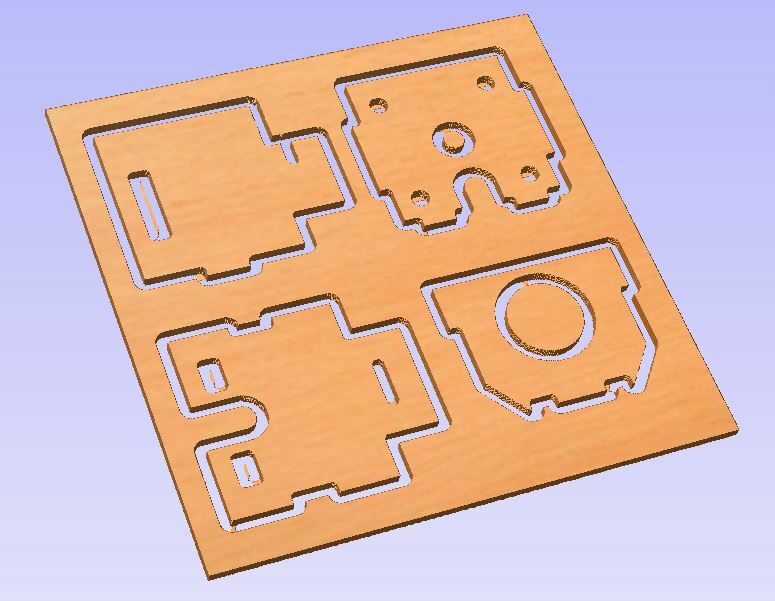 (Above) This is the 3D preview produced by VCarve Pro showing the cut paths. Of special note, we included all four parts in the single job cut file. This saves setup time compared to cutting each part out as a separate job. Finally we selected a 21,000 spindle/tool rpm. This produces an excellent cut quality with a minimum of stress on the cutting bit. Once all the parameters were entered we saved the job and produced the G-code. We set up the CNC with a 1/8 inch Lite Ply spoil board under the plywood and clamped the sheets in place with the clamping bars. It took roughly 2 to 3 minutes to produce the finished parts. 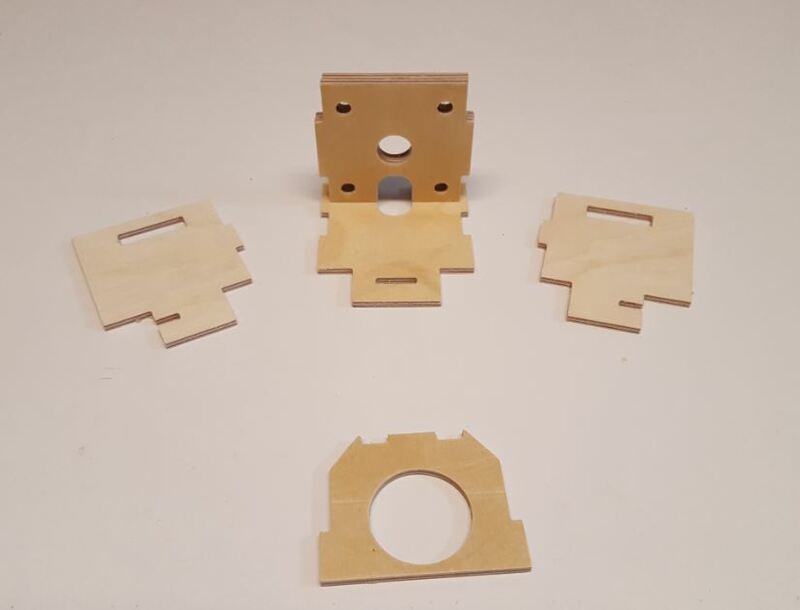 Actually because the front of the mount box has a 1/4 inch thick face, we ran the job twice and produced the required parts plus some extra pieces just in case. Having the ability to produce parts in your own workshop saves time and money and is a great source of pride and accomplishment. Plus, not only are you producing extremely accurate airplane parts, you’re also learning how to think like a manufacturer. This increased knowledge helps you get better at what you do. Oh, by the way, you’ll also find you get a lot of new “friends” when the word get out you can cut parts with a CNC. A new source of hobby income? Who knows, you might be able to start a home business and help your fellow RC model builders at the same time. 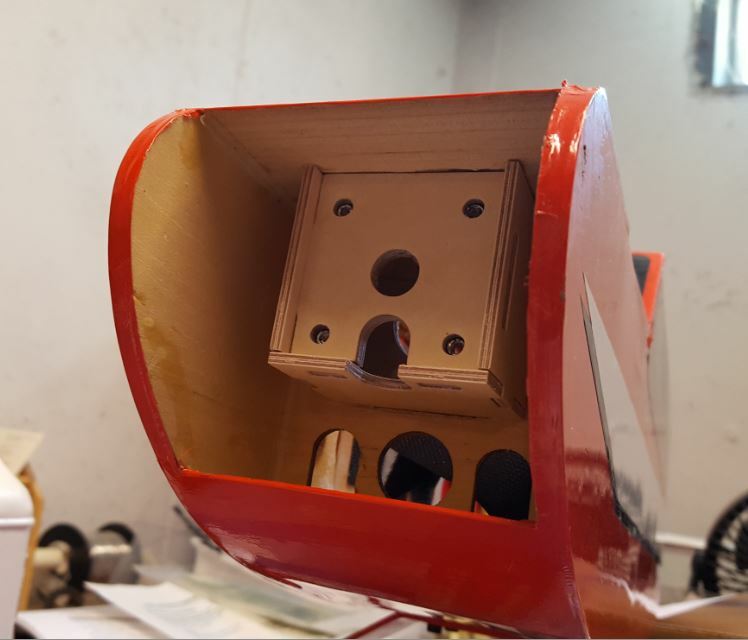 Here are a few photos of the finished motor mount box installed in the Telemaster. 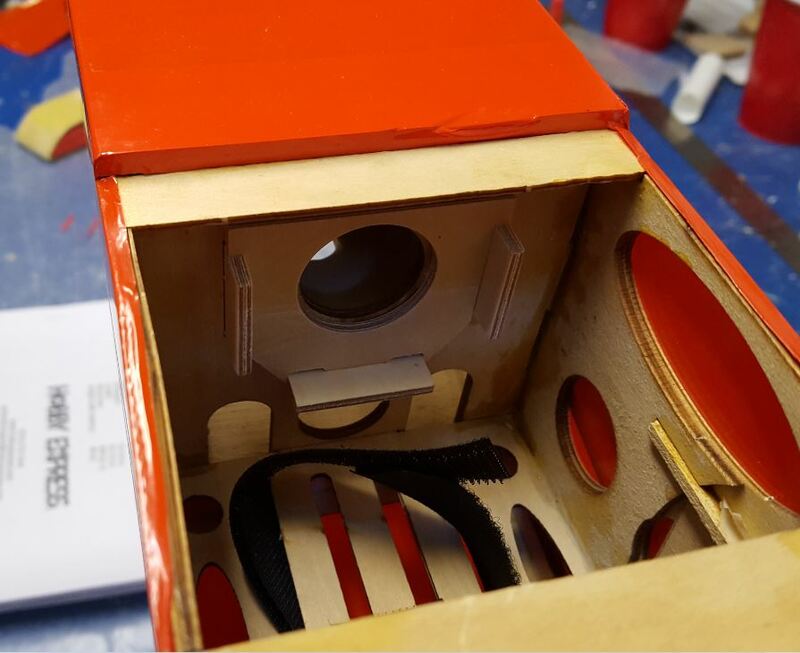 It fits precisely into place and it was designed with a lock-tab design so the parts would fit together securely requiring only a minimum amount of glue to secure everything together. 15-minute Z-poxy was used on the project. 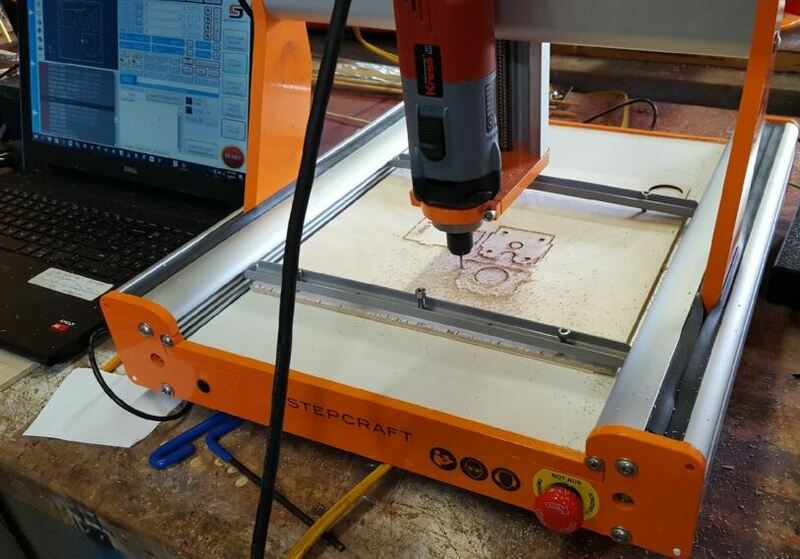 If you are the type of modeler that like to do things yourself and you want to cut out the middle man so to speak, consider adding a Stepcraft desktop CNC system to your workshop. These parts were produced using the 2/420 system which is being reviewed in the September issue of MAN. check out: modelairplanenews.com/stepcraft for more information and photos of the desktop CNC system.